Early one morning in 1992, Joe Castleman gets the call of his life: He has won the Nobel Prize for Literature. His wife, Joan, is listening in on the other extension. While Joe is ecstatic, Joan is much more inscrutable. You cannot read her expression at all — somewhere between shock and resignation, maybe? It all becomes clear at the conclusion of the admirable but not entirely successful film The Wife, opening Friday at Westgate Mall Premiere Cinema 6, 7701 W. Interstate 40. 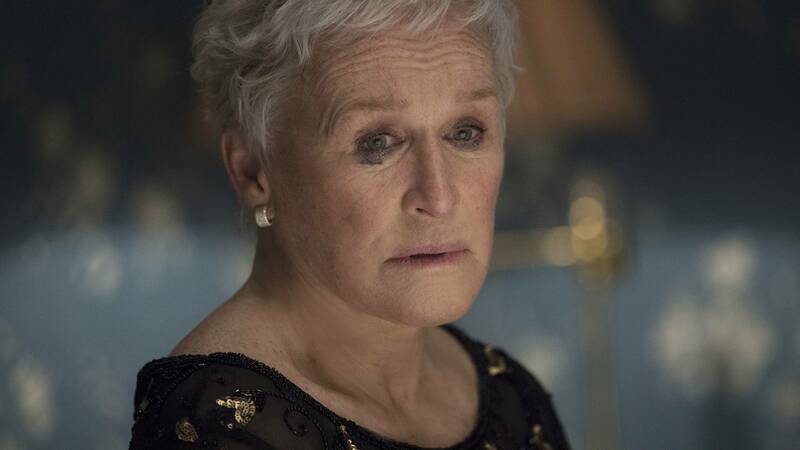 Despite its flaws, the film has one decisive virtue at its core — star Glenn Close, in her best role in years. Close's opacity in this role is positively crucial. We see immediately that she is the one who keeps everything running, making sure Joe (Jonathan Pryce) remembers both his glasses and pills, keeping the peace between Joe and their insecure son (Max Irons) — but is she happy? We're not at all sure. Close lets us in incrementally. We see her eyes almost imperceptibly glass over, her posture stiffen. She's more accepting of Joe's putative biographer (Christian Slater) than we'd expect — certainly more than Joe would desire. We also see their relationship unfold from its beginnings: Joe (Harry Lloyd) is a writing professor who's quickly drawn to student Joan (Annie Starke, Close's daughter). I don't want to spoil what comes next; director Bjorn Runge and screenwriter Jane Anderson aren't entirely successful in adapting author Meg Wolitzer's novel to the screen, but it's still intensely watchable. That, of course, is largely due to Close's magnificent work. She has been nominated for Oscars six times (from 1983's The World According to Garp to 2012's Albert Nobbs), and she is simply extraordinary here. For quite a while, it's a performance that relies on subtlety rather than fireworks. But they come. Boy, do they come.